When your rate of chemical consumption is too high to use 25 litre drums but too small to consider bulk tanker deliveries what do you do? Purchasing chemicals in 1m3 Intermediate Bulk Containers (IBCs) can often be a good and economic choice. 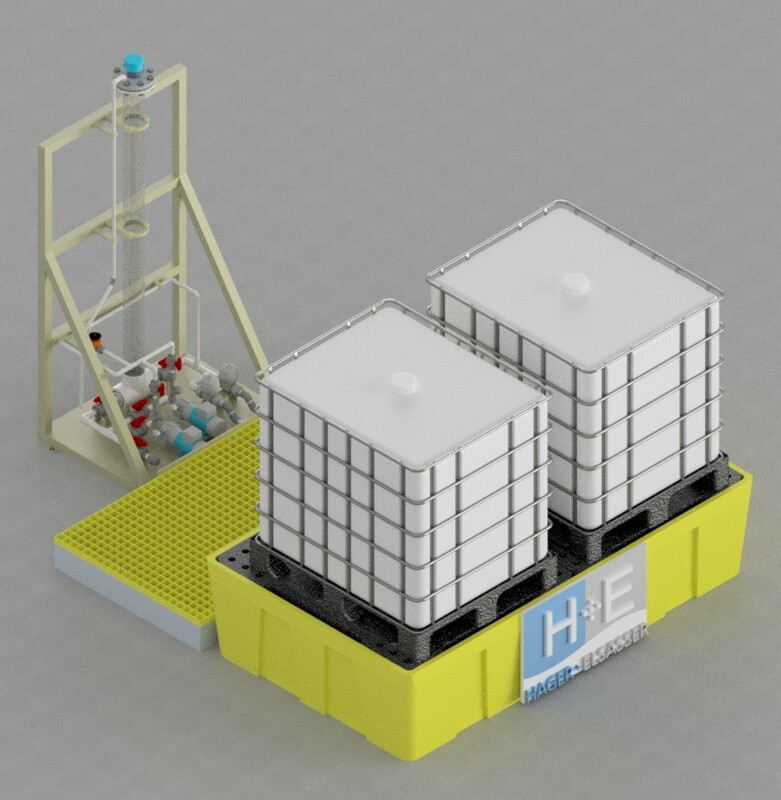 H+E’s SecureChem™ IBC Chemical Dosing Systems are pre-assembled prior to delivery. 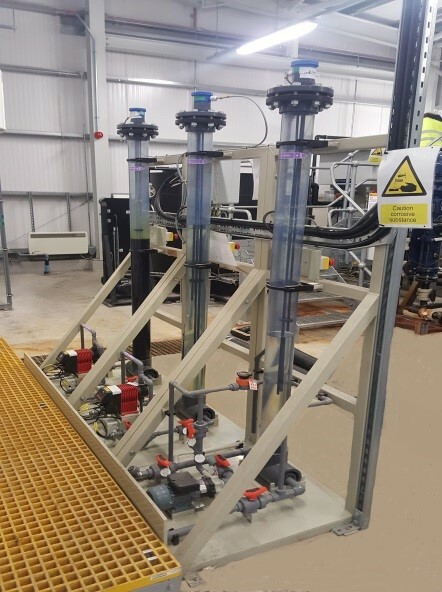 They connect directly to the liquid outlet of the delivered IBCs, eliminating chemical waste and therefore reducing operating costs. Provide a constant, pressurised chemical supply to each point of use. 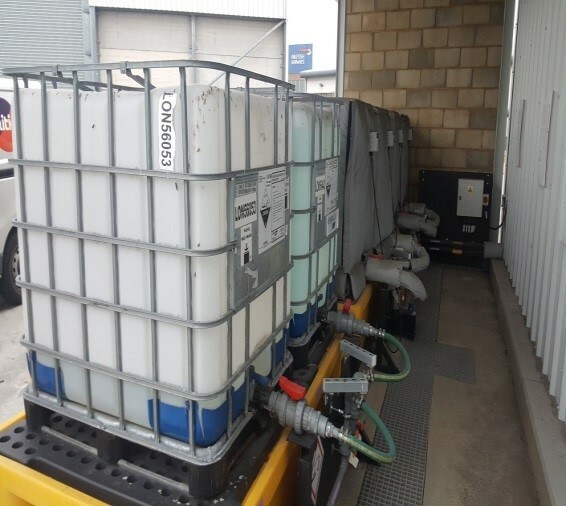 Note: You can also use the systems to transfer and collect waste chemicals into IBCs. Click here to download a leaflet. We are happy to supply just the SecureChem™ IBC Chemical Dosing Systems if that is what you need. The whole range of chemical storage and dosing systems. Whatever you need, please talk to us! H+E has more than 100 years of overall experience in the water & wastewater treatment business. During that time, we have made the supply of on-going support for our clients a central part of our offering. Whatever you need to ensure that your plant continues to operate, our team of engineers is always available. Many of our clients ask us to provide support, troubleshooting and the occasional spare part throughout the plant’s life. We can also provide maintenance and service packages for your complete water or wastewater treatment plant if you wish. This will be on a basis that suits you.